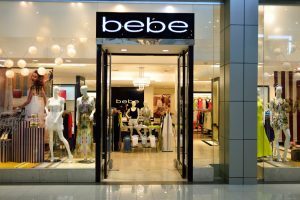 • Every women between the ages of 18 -35 love the bebe fashion styles including top celebrities. Shop today for the latest fashion trends, bags, accessories and so much more. • Give the greatest gift of all for any occasion. Bebe focuses on women between the ages of 18 and 35, who seek top fashion trends. Bebe appeals to the hip, sophisticated and body-conscious woman who takes pride in her appearance. Vivica A. Fox, Jennifer Lopez, Michelle Rodriguez, Alicia Keys and Sheryl Crow are those who enjoy the bebe style.